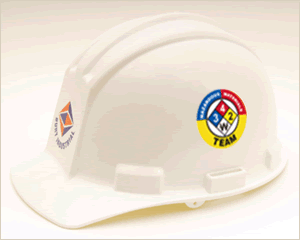 Build pride in your company and craft with our rocker Hard hat decals. Our “Haz-Mat Team” Hard hat decals make it easy to spot your HazMat Team. We offer durable helmet decals at reasonable price.